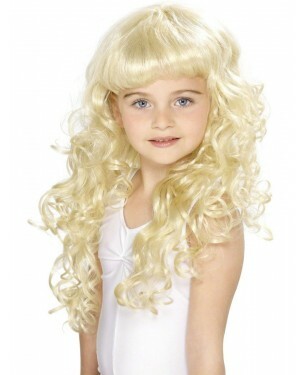 Welcome to our complete collection of Kids Princess Fancy Dress Costumes. Every Princess deserves to look fabulous and we've made it easier for you a look fit for a ball for your little ones! We have a fantastic range of Licensed and Unlicensed Products for you to choose from to cover all a Princess could need! From Disney Princesses to Fairies, we have a brilliant selection including your little ones' favourite Book, TV, and Film characters. Your little Princess will want for nothing as they have hours of fun! 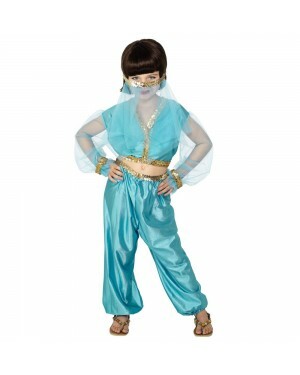 So sit back and scroll through our fantastic collection of Princess Fancy Dress Costumes. Royal Princess Costume with removable gold cape and crown garland. Lilac party dress with a full net hooped skirt and matching gloves. 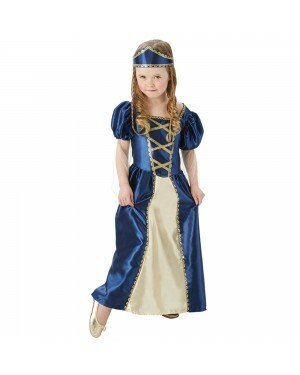 Princess Dress – Dress with removable fleece lining. 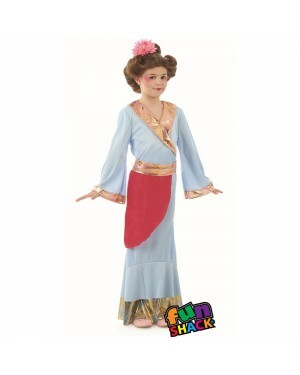 Girls Blue Princess Dress – Dress with organza skirt. Belle Toddler Dress and baby size with organza overskirt, bloomers and headband. Gold sparkly Belle glitter printed satin dress with printed character cameo. Official Nella the Princess Knight Dress. Girls Pink Princess Dress – Dress with organza sleeves and hooped skirt. Girls Pink Princess Dress – Dress with flower headband. 1950’s Girls Dress – Dress, gloves, tiara and glasses. Girls Pink Princess Dress – Dress and tiara.